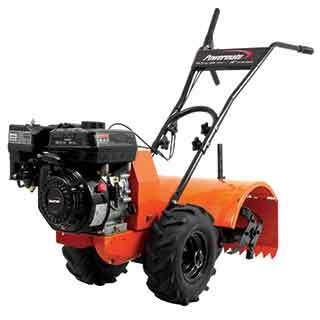 Powerful 212cc OHV engine provides the necessary strength for tilling your soil. With a 18" tilling width, self-sharpening steel tines plow dirt while maintaining the blade edge. 13" heavy duty pneumatic tires with a 90 degree steel valve stem easily maneuver through tough landscapes.